What we see in the world around us are merely reflections of the struggles we feel within – the microcosm of ‘us’ is not separate from the macrocosm of all life everywhere. If you have been struggling recently, feeling like you are ‘wading through treacle’ and getting nowhere, feel like you have lost sight of your direction, feel unsettled for no reason, can’t stop your mind buzzing, feel like you are going over the same old ground, then our Sun, Moon and Seasons essences may offer you some guidance. As with all our essences, let the pictures guide you before you start reading about the healing and soul qualities of each one. Sometimes, just reading about the essence is enough. Obviously you can buy the essences too, to engage with their energy in person. Our Sun, Moon and Seasons essence collection features 10 essences. Their energies are potent and direct. Their intention is to expand consciousness. Sun, Moon and Seasons help you see, hear, and feel life beyond the boxed in mental parameters of how life currently works, and ways of living which may be restricting you. These essences open you to the expansive visionary vistas of your soul, reconnecting you with the wisdom of the Sun, the Moon and our glorious Seasons. Click on the image to be taken to the collection page. SheWolf is about boundaries. About respecting your personal boundaries. My mum was not someone who understood about boundaries in her own life, and I naturally adopted her boundary-less way of being because it was the dominant energy pattern to which I was exposed while growing up. For an energy sensitive like myself, living without any clear boundaries (personal, emotional, energetic) created all kinds of mess for me over the years. Always saying yes to things when really I was crying out inside to say no. Always pleasing people. Always trying to do the right thing for others. Always trying to make it alright for others before myself. I would give out all I had and leave myself energetically drained, physically exhausted, emotionally pulled every which way. Thank goodness for essences (the Australian Bush Flower Essences initially) to awaken me to the family patterns I was repeating. And to begin dissolving those patterns, to reveal mySELF again. 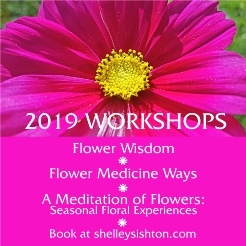 I began to learn my own intuitive language thanks to Clare G Harvey, my flower essence tutor and her amazing Diploma training course which I studied to become a Flower and Vibrational Essence Practitioner, qualifying from this 2 year training in 2002. Because I had studied 25 plus essence ranges from all over the world on the course, and used most of them in my practice at the time, the call to create SheWolf was completely unexpected. SheWolf came to me in a dream. I was given clear instructions about timing and date, which I followed. SheWolf came from the setting moon towards the rising sun at dawn to combine the energies of yin and yang in perfect harmony. SheWolf brings polar opposites of energy together, to create wholeness within. SheWolf reconnects you to your core of strength, wild instinct, power and magnificence which has become smothered over time. Her essence helps you transcend illusions of fear and control to feel liberated to express your Truth at all times. SheWolf is able to give freely of herself as well as being confident to honour her boundaries, and to keep her personal space when she needs rest, peace and time of her own. She does this to maintain her absolute energetic balance. 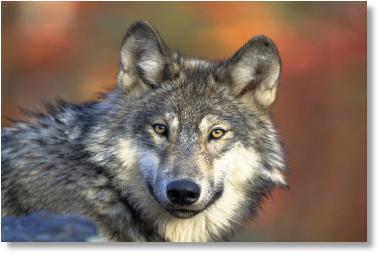 SheWolf is the essence of wild instinct, wild freedom. Thanks mum. What a gift as my first ever essence. Solar Eclipse I had never been in the energy of a total solar eclipse before. 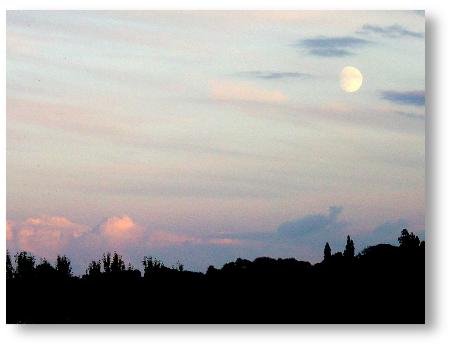 The eclipse was scheduled for the spring equinox, 20 March 2015. I put my ceremonial bowl of spring water out before the eclipse began, and left it settled by our pond for the duration of the total eclipse. 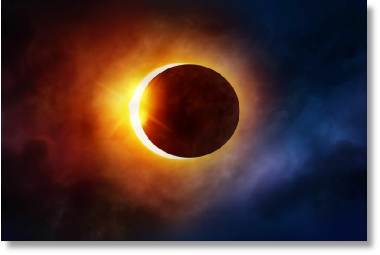 The time of the actual total eclipse was 9.46am, during daylight hours. I was in the garden the whole time with the bowl from 8.25am to after 11am. The sun was not visible due to a heavy bank of cloud covering the SE of England, where we live. But the energy of the eclipse experience was very definitely felt. Gradually, the light began to dim. There was not even a touch of a breeze that day. As the darkness increased, so nature around me became quieter, more still. At the point of the eclipse, the garden birds stopped singing. All was quiet. I felt as if time stopped, for how long I can’t tell you. There was a crossing point of energy. But at the still point of the eclipse, I felt like I was truly in the void of pure potentially. Neither light, nor dark. But the potential for both. Standing wholly and completely in the void of potentiality which I had learned so much about, especially from Deepak Chopra’s books. Time hovered in this place, time did not seem to exist. Then there was the most subtle of energy shift, and the light began to change. At this point, I heard the words ‘Come with me, and you’ll be, in a world of pure imagination’, the first line of the song in the film Willy Wonka and the Chocolate Factory from the book by Roald Dahl. The whole energy of this eclipse experience was, quite literally, pure magic. 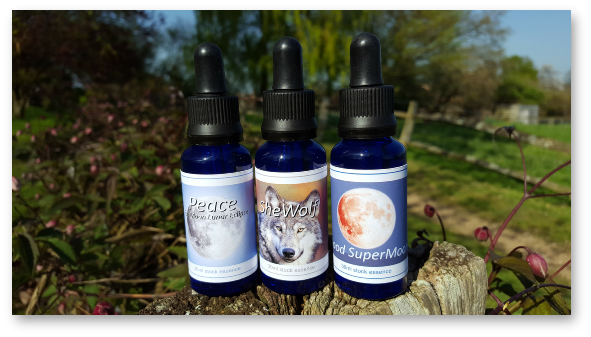 SheWolf, Peace and Blood SuperMoon - three essences from the Sun, Moon and Seasons collection. SheWolf This was the first essence I ever made, on 23 May 2003. It was the anniversary of my mum’s birthday – she had died the year before – and in some way, I have always felt this was a gift from her. Until this essence, I had never dreamed I would make ANY essences in my life. 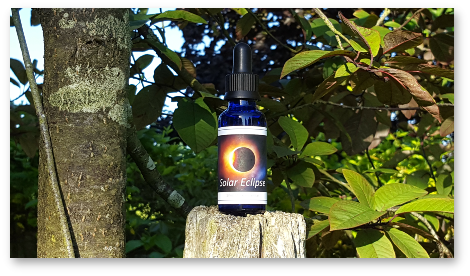 At the place where everything already exists, in a moment of time that contains eternity itself, Solar Eclipse essence holds the infinite organizing ability of the Universe. Total Solar Eclipse is the embodiment of Oneness. The main word for this essence is WONDER. “The wonder, glory and majesty of life.” It holds the energy of completeness, of wholeness. And of light and dark in perfect unity. If you have become afraid of the magic and have forgotten your own power, this essence leads you from your deepest rooted fears into the light and wonder of life. Let Solar Eclipse take you into the world of WONDER, to remember how to create, how to defy explanation. To remember how to be free. 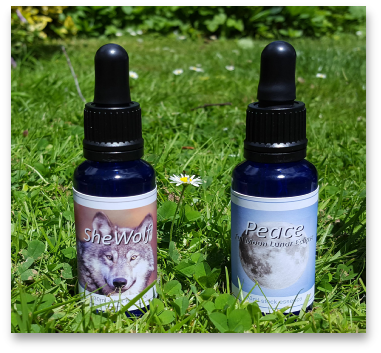 SheWolf essence - for clear boundaries. I was guided to create this essence after one of the wettest winters on record in the UK. From October through December and into March, we had heavy rain and grey skies for weeks on end. Major floods happened all over the country. Then, second week of March, the sun came out and the spring flowers began to bloom. 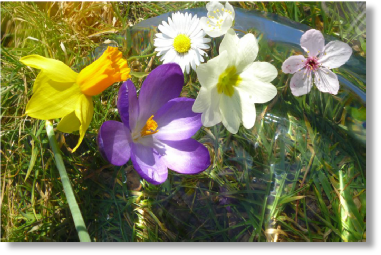 Intuitively gathering the flowers you see in the picture from around the garden, each one was placed gently in my crystal bowl of spring water which was infused with their energy under warm spring sunlight, while the bowl sat in ceremony by our sacred pond. Making this essence was divinely timed to help move on from an intense few years of personal challenges. Sometimes when you become immersed in a pattern of life, it is hard to see your way out of the situation. This is exactly what Spring Light essence helps with. It is a really good essence to help move on from heavy, stagnant situations, people, places or environments which you no longer resonate with but cannot see a way forward from/see a way to leave. We always have a choice, in every moment, with every thought we think. Sometimes we are so ingrained in a behaviour, we cannot imagine how to create the change we desire. This essence catalyses change to happen. I still use this essence every spring around the Equinox, and at any time I feel the need to ‘move on’.